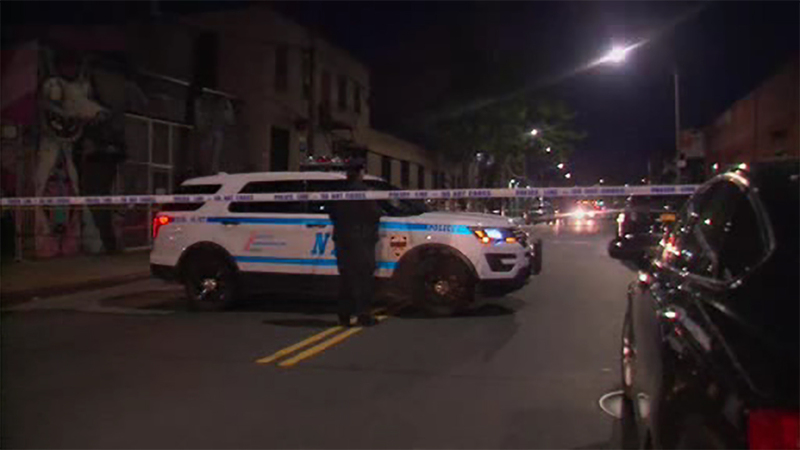 EAST WILLIAMSBURG, Brooklyn (WABC) -- A police cruiser struck a bicyclist early Monday while responding to a report of an assault in the East Williamsburg section of Brooklyn. The officers struck the bicyclist at the intersection of Morgan Street and Stagg Avenue just before 2 a.m. The NYPD vehicle had its lights and sirens activated when the cruiser, driving up a one-way street with the flow of traffic, struck the bicyclist, who was riding against the flow of traffic. The bicyclist was taken to Elmhurst Hospital in serious but stable condition. The officers were not injured. The crash is under investigation.